One by Jane Blythe is a a mystery/whodunit story. It opens with a detective entering the scene of a crime. A family is brutally murdered, but one victim is left barely alive. And so a mystery unfolds. Did this young woman kill her family and injure herself to hide that she did it? Or is something more sinister going on? The detectives on the case can’t quite accept that this young woman killed her family. And then another family is murdered, again with one left alive. Of course a romantic subplot emerges as well. Can’t have a male detective and a female main character without something going on, am I right? There are some interesting twists in the love story. I won’t give them away. This is the third book I’ve read by Jane Blythe. The last one was A Secret to the Grave. I have to say I enjoyed this one better. I’m not sure why – maybe these characters just spoke to me better, or perhaps the mystery itself was better laid out. I’m not really sure. But this book had me wanting to read more. The other book I read by Jane Blythe was actually quite a while ago. She had sent me a children’s book and I read and reviewed it with my daughters. It was from the Victoria Ivory Pearl series and it was cute. My girls liked it and it had a take-away moral. 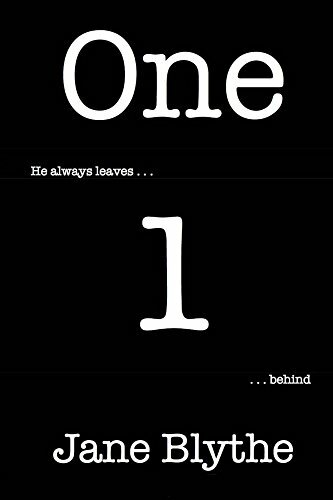 One by Jane Blythe is the first in a series of murder mysteries. I’m intrigued enough to read more. If you like a fast paced murder mystery, Jane Blythe may be just the author for you!